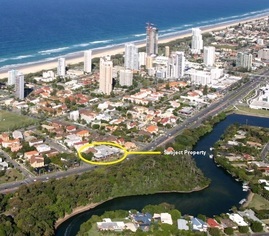 30 Commercial Real Estate & Properties in Broadbeach are listed in 4 categories. We have 27 Retail ShopsSale & Lease , 2 Hotels and LeisureSale & Lease , 1 OfficesSale & Lease and 1 Development LandsSale & Lease . 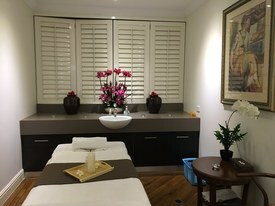 Currently operating as 'Harmony Wellbeing Centre', offering various styles of massage therapies, beauty treatments and health activities. There are 13 massage rooms, a sauna, shower facilities, women's and men's change rooms with lockers, a waiting room and staff room. 24/7 Underground paid parking and street parking. 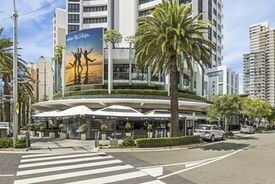 Located in the shopping and dining district of Broadbeach inside one of the Gold Coast's most prominent hotels, the Phoenician Resort. Only a short walk to Kurrawa Surf Club and the beach, Oasis Shopping Centre, Star Casino, the Gold Coast Light Rail and Pacific Fair Shopping Centre. Great Business Opportunity Surf Parade, Broadbeach The Best Restaurant Precinct on the Gold Coast Situated in this Tightly Held Premier Location Acclaimed Restaurant Expensive As New Fit out 69m2 Internal plus significant Alfresco Area Easily Managed Private Rear Access to Loading Bay Seating Potential for 32 Internal and 30 External Seats Licensed Well Established Theme Menu Cuisine Theme and Décor could easily be Changed Currently Trading 6 Days only T/O $14,000pw Breakfast and Takeaway Potential Fully fitted Kitchen, Store and Servery Realistic Rental Approx. $8,000 Month Gross Long Term Lease Options to 2027 Ripe for new Owner/Operator to Unlock Potential Opportunity Knocks Only $110,000 WIWO For Further Details and Buyer Registration Contact Exclusive Agents and Managers: Derek J Wallbridge 0418 845 188 dwallbridge@ljhc.com.au www.goldcoast.ljhcommercial.com.au Owners Declared Average Please Note: The photos and graphics used herein may not be of the actual business due to Confidentiality and Privacy Requirements and may be generic or stock photos and graphics for indicative and illustrative purposes. Love Cars and Bikes? Share the Passion!! The Worlds Number One Waterless Carwash and Detailing System is now available across Australia for approved applicants. 100% Environmentally Friendly using No Water, No Harsh Chemicals Only Advanced Nano Science and Technology. Providing Exceptional Cleaning, Protection and Customer Satisfaction combined with Ecological Savings We are proud to represent the Australian Distributor of the World Leading European Waterless Cleaning and complete Detailing Systems from Limpo. The potential is enormous. Fixed Site and Mobile Franchises are available from $60,000 including all needed Plant and Equipment with No Ongoing Franchise Fees. Full assistance and support included. Master Franchises also available in selected areas.. Please Note: The photos and graphics used herein may not be of the actual business due to Confidentiality and Privacy Requirements and may be generic or stock photos and graphics for indicative and illustrative purposes. Over 80 metres of frontage to Gold Coast Highway Land area 2595m2 Building area 900m2 52 on site car parks Plus 2 x 4 bed residential units Single level basement car park High density residential zoning with HX (no height limit) 360 degree view corridor capturing ocean Hinterland views with new development 2769 Gold Coast Highway has a vacant commercial building which could be leased for holding income and / or developed for hotel, residential accommodation and or serviced units. For further details contact Brad Merkur 0414 389 300 or Simon Robertson 0449 951 772 Approx Disclaimer: Ray White has not independently checked any of the information we merely pass on. We make no comment on and give no warranty as to the accuracy of the information contained in this document which does not constitute all or any part of any offer or contract by the recipient. Prospective purchasers / lessees must rely on their own enquiries and should satisfy themselves as to the truth or accuracy of all information given by their own inspections, searches, inquiries, advices or as is otherwise necessary. No duty of care is assumed by Orchid Avenue Realty trading as Ray White Surfers Paradise Commercial divisions toward the recipient with regard to the use of this information and all information given is given without responsibility. 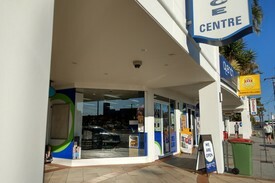 Price reduced on this Broadbeach mall tenancy located next to the main entertainment stage in the heart of Broadbeach! Vendors' financial situation is forcing the urgency in the sale of this property. Previously a medical provider with fit out still in place. Would suit medical specialist or any medical related field, as well as legal and/or accounting practices. 131 m2 of fully partitioned office fit out Can be split to 2 offices Suit medical, OR professional offices, retail Vacant and ready for occupancy 2 basement car parking spaces Ample car parking facilities available Enormous walk by traffic Only 50 meters to beach Body Corp: $8,750 Rates: $3,693 Water: $1,874 MASSIVE PRICE REDUCTION $650,000 / vacant possession Contact agent for inspection of this property. approx.